This is a barbed and tanged arrowhead, made of flint. One of the barbs (on the left side of the photograph) and the tang (the central projection at the bottom of the arrowhead that is used to connect it to the arrow shaft) have suffered damage and are partially missing. The arrowhead dates to the Bronze Age period. The arrowhead was retrieved during a fieldwalking exercise at Ven Combe in Porlock parish, which took place in July 2013. 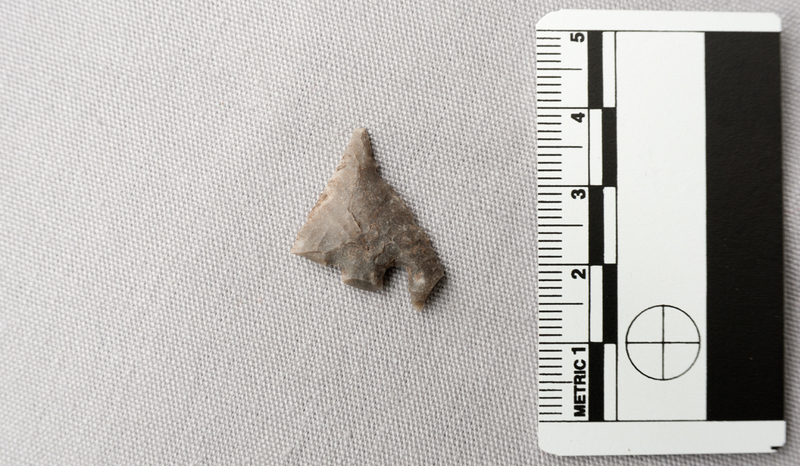 The arrowhead was found within a site dating from the Mesolithic period and could indicate a longer period of use than first thought.